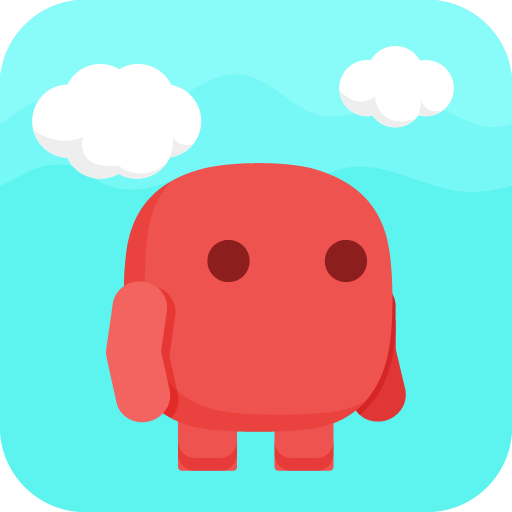 In this game you will find lots of cute characters that give it a more vivid emotional coloring due to their interactivity. 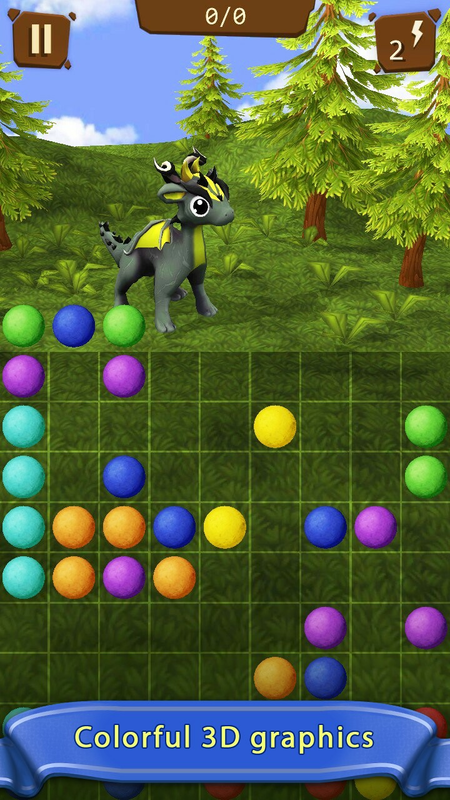 Lovely animated dragons will never leave you indifferent, you’re going to want to play with them again and again. 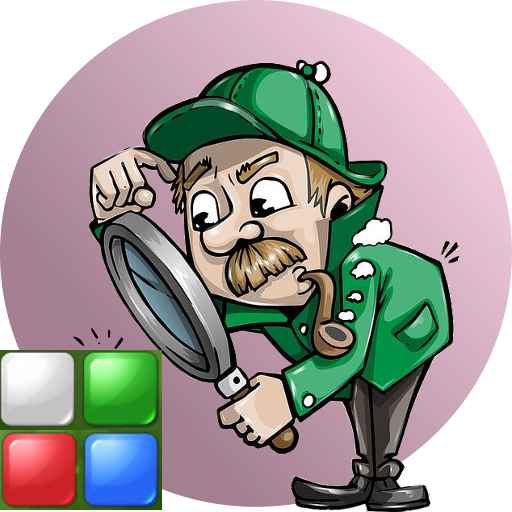 In contrast to the classical Lines, our version of the game has a special feature. You can remove an unneeded ball from the play field with the help of a ‘lightning’ boost. You can get these boosts for viewing ads or simply buy them from an in-app store. All of your progress in the ‘Lines: Dragon Pets’ is not only preserved, but also collected in one rating table. 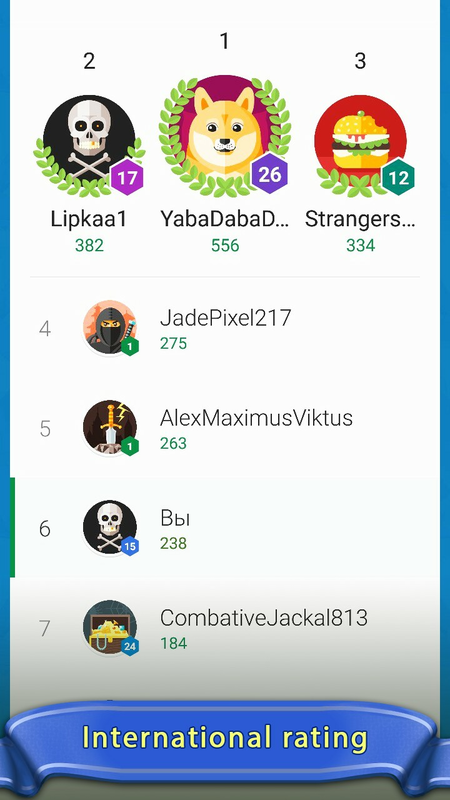 You will be able to compete with users from different countries, collect points and lead the world charts of top players. 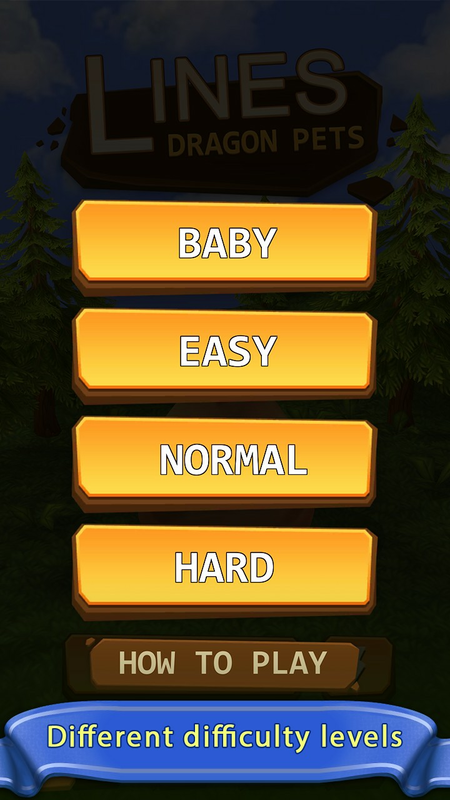 Before each game you are provided with a choice of difficulty level. You can choose a round with 3, 4 or 5 colors of balls. 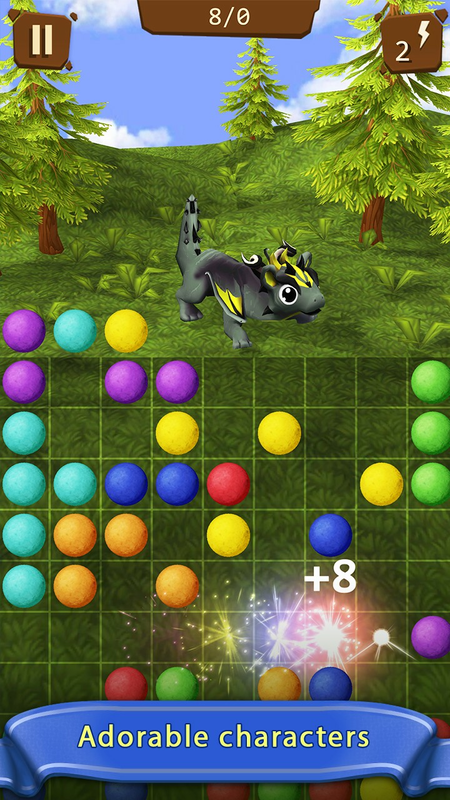 The number of balls that appear after each move remains unchanged: 3 pieces no matter what level you’ve chosen. We have reshaped a well-known game ‘Lines’ that was loved by millions of users over many years. 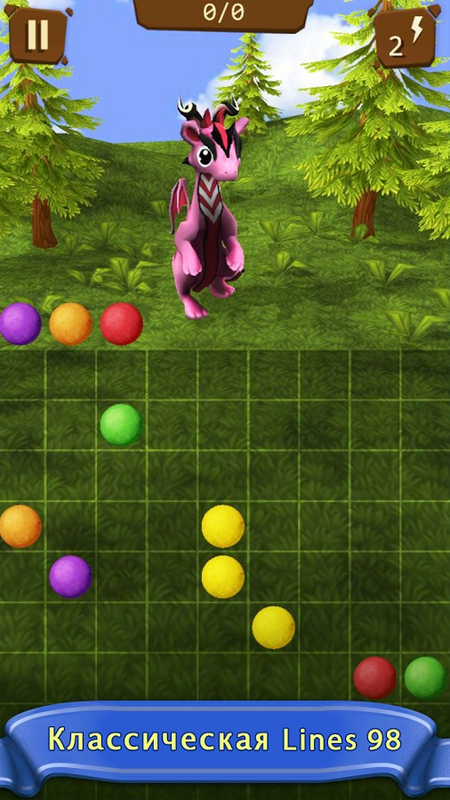 We’ve added interactive animated characters, which is quite unusual for this genre, and furnished the game with a special boost that removes any ball, which prevents you from making progress. 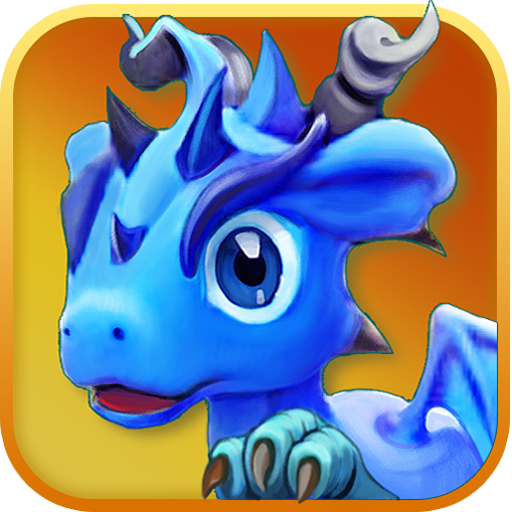 Taking into consideration all of these changes ‘Lines: Dragon Pets’ can not be regarded as a classic ‘Lines 98’ version, but the gameplay remains the same: all the same proven and familiar "five in a row".